Actor who is known for being cast as Max on the 2016 Netflix series Fuller House. 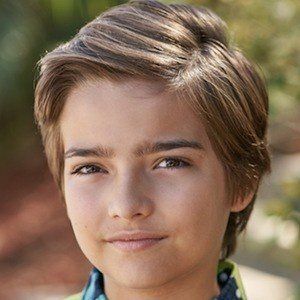 Prior to his casting on Fuller House, he had played roles in two short films. His first appearance came in the 2014 horror short Popsy. His character, Max, on Fuller House, is meant to parallel his on-screen grandfather Danny, played by Bob Saget. He has a younger brother named Issac and a sister named Colyse. He was cast to appear alongside John Stamos, Dave Coulier, and Candace Cameron Bure, who plays his on-screen mother, DJ.